There are several reasons why you might want to check your Social Security System or SSS employment history online. For example, you might want to know if your employer has registered you under their account or has remitted your SSS contributions. You might also be worried about the money withheld by your company from your salary through payroll deductions. You might ask, “How do I check my SSS employment history?” The best way to check SSS records online is through the SSS website. 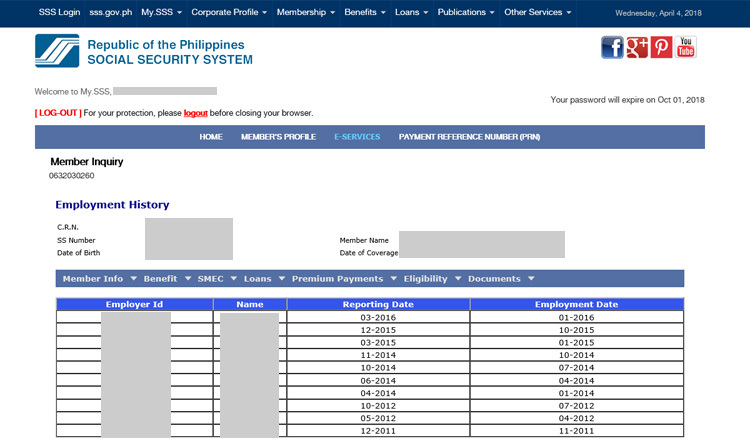 If you have an SSS online account, you can easily check your SSS employment history report and see if your employer or company has faithfully remitted your contributions. Under the law, Philippine employers have up to 30 days to report their new employees to SSS and to remit the monthly contributions of their employees. Since not everyone is tech-savvy or knows how to browse the web effectively, I have put up a short tutorial on how to get your SSS employment history online using the SSS website. 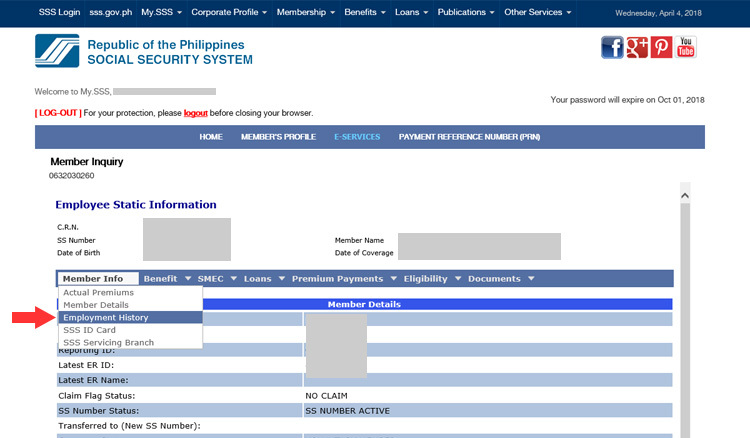 Please take note that you should be an SSS member and have an account with the SSS website. 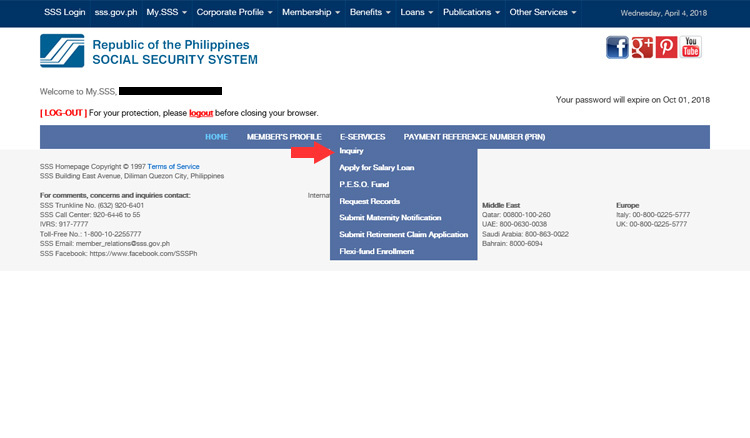 If you don’t have an SSS online account, you can register for a free account at the SSS website. Important: I highly recommend that you use the Internet Explorer browser to log in to the SSS website. I know that it’s an old and outdated browser, but the SSS website at the moment does not fully support other browsers such as Google Chrome and Mozilla Firefox. It might change in the future, but for the meantime, please use Internet Explorer. For Windows 10 computers, you can find Internet Explorer by clicking the Windows icon, then going to Windows Accessories. If your computer does not have Internet Explorer, you can download it here. 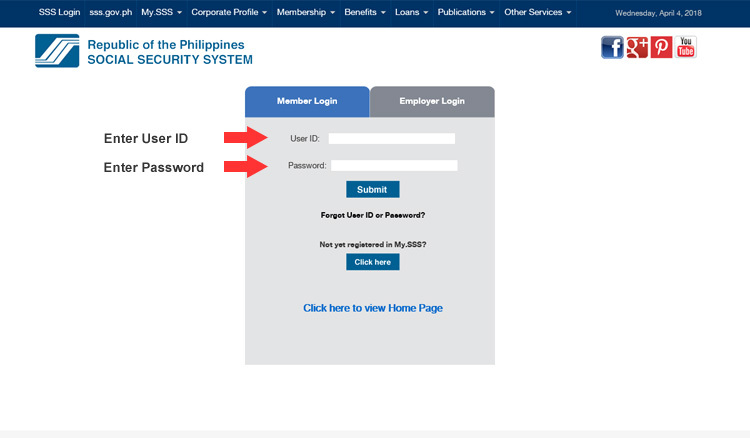 Step 1: Visit the SSS website at https://www.sss.gov.ph and enter your User ID and password. If you forgot your User ID or password, you can request to have it sent to your email address on file. Step 2: Hover over E-SERVICES, then click Inquiry. You will be redirected to the Employee Static Information page. Step 3: Under the Member Info link, click Employment History. This will open your Employment History page. Step 4: You can now view your Employment History page. Here you will have access to your SSS employment history report with information such as the name of your employers, their employer ID, reporting date, and employment date. There you have it; those are the steps you can take to check your SSS records online. If you notice any discrepancies, don’t hesitate to contact your SSS liaison officer at your nearest SSS branch. Employees can file complaints against delinquent employers if necessary. If you have any questions or clarifications, please post a comment below. Don’t forget to like us on Facebook or follow us on Twitter.